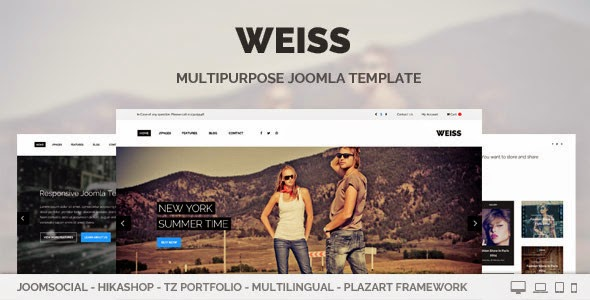 Weiss template is a multipurpose Joomla template with clean and modern design. This theme is perfect for Blog, Events, Business, Company website, Personal website. The appearance of Weiss will make your site become more outstanding and beautiful, even it will be an useful template for your work. Item Reviewed: Weiss Multipurpose Joomla Template 9 out of 10 based on 10 ratings. 9 user reviews.